At this point in the side chair build I am ready to lay out slat mortises on the rear legs. 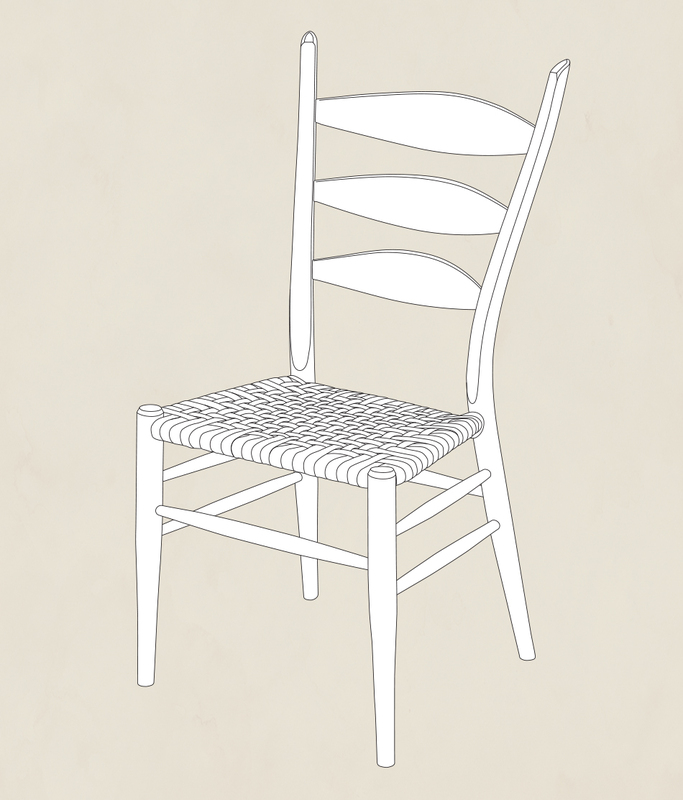 But before I get into that part of the process I thought it would be a good idea to go over some general principles of chair design, especially as it relates to dining chairs. Understanding these general principles will help enormously as I describe laying out and cutting the slat mortises, and subsequently how and why I rotate the legs to a specific angle when fitting the slats. Here are a couple of views of Brian’s beautiful side chair. I sit in one of these chairs every day, and it is by far the most comfortable chair that I own. There are a couple of things that make this chair so comfortable. First is the angle and arc of the slats — roughly 25° at the tenons. The slats also rotate the legs the same amount. The arc of the slats makes for a back rest that envelopes and supports the back. 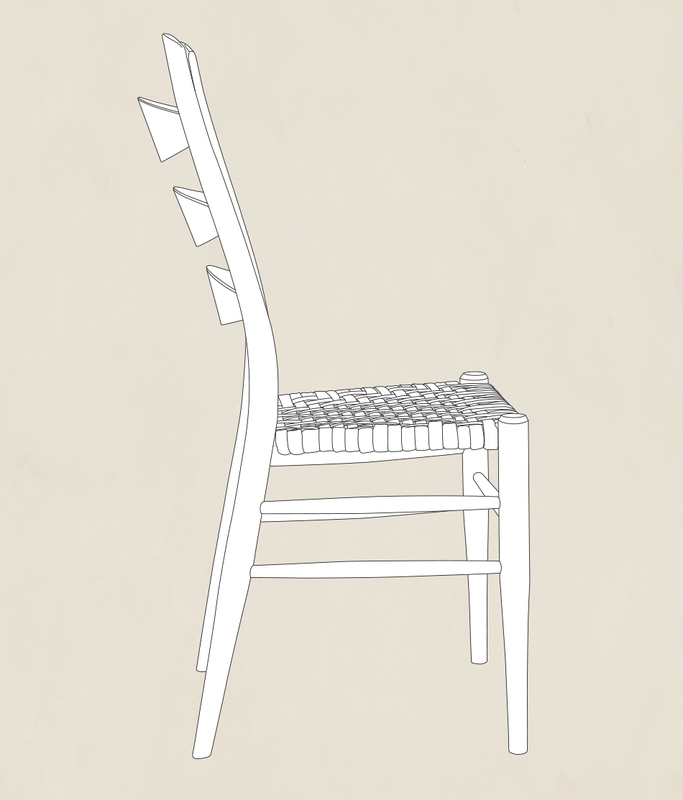 The second aspect of a comfortable back rest is the angle of the slats relative to the seat. On this chair it is roughly 20°. This is the perfect angle for supporting the back in a dining chair. In a future post I will add measurements and angles to these drawings.